Based on this tutorial, I understand symbols -| and |- are used to draw perpendicular lines. But I wish to understand the difference between the two. But none of them seem to use the approach of -| and |-. Mathematically, (x,y) -| (a,b) and (x,y) -- (a,y) -- (a,b) are the same. Mathematically, (x,y) |- (a,b) and (x,y) -- (x,b) -- (a,b) are the same. They are clearly very different. I'd like to add to JouleV's answer another use of -| and |-. 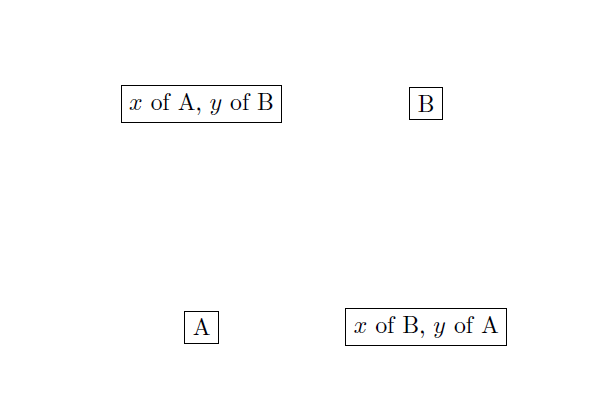 if you use (A -| B) you have a point with the x coordinate of B and the y coordinate of A.